Generous Mansfield shoppers helped raise more than £700 for a local charity at the weekend, after supporting the Four Seasons Shopping Centre Bake Sale bonanza. Colleagues at Four Seasons baked cupcakes and cake pops for Saturday’s event, in support of the centre’s nominated charity of the year, John Eastwood Hospice Trust. Representatives from the hospice were also at the centre, to discuss the work they do and also to sell books to raise funds for the charity which helps people in and around the area. “We sold all of our sweet treats by the middle of the afternoon,” said Rebekah O’Neill, Centre Manager at Four Seasons. 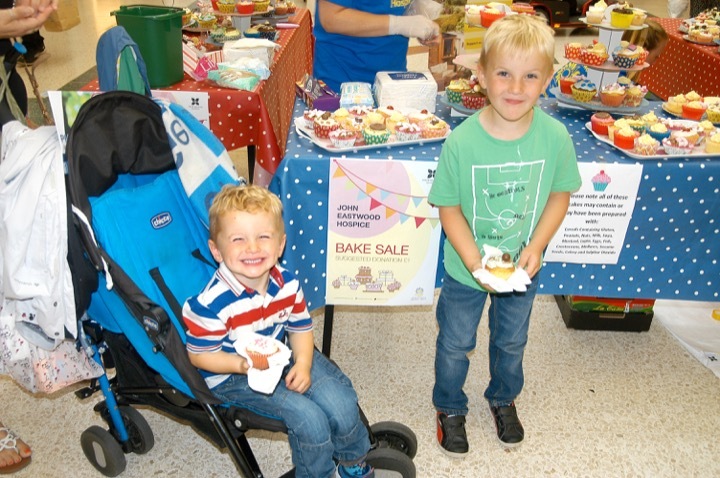 “We raised more than £450 with the bake sale, and the book stall raised almost £300 too. Rebekah said staff at the centre and family had been spent the week leading up to the event hitting the kitchen and cooking up a treat in readiness. Rebekah said local firm Sweet Occasions Catering, based in Sutton-in-Ashfield, had also donated 100 cupcakes to the effort. “We had a terrific day and just want to thank all of our customers who gave so generously,” said Rebekah.